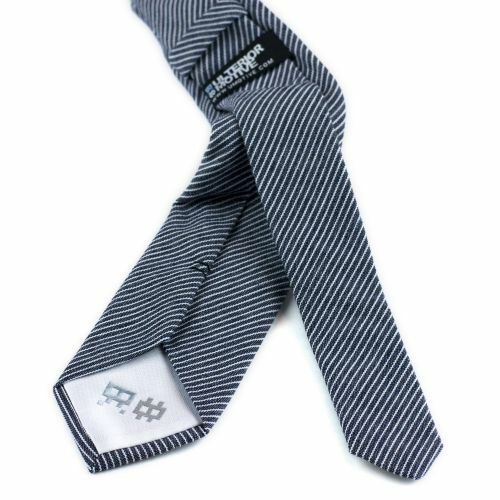 Stripes is one of the stock designs when it comes to ties. 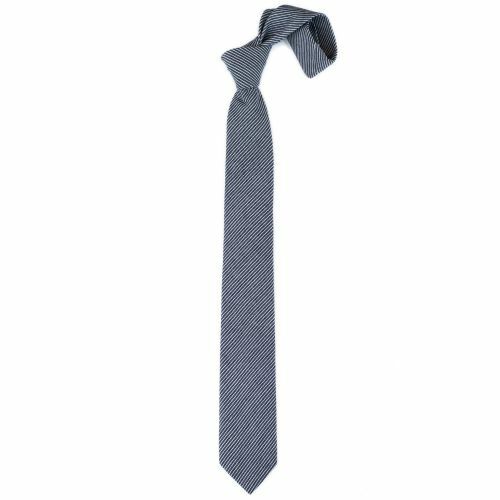 Though, fuse it with the right colors and a denim fabric they instantly add a whole lot more interesting style. 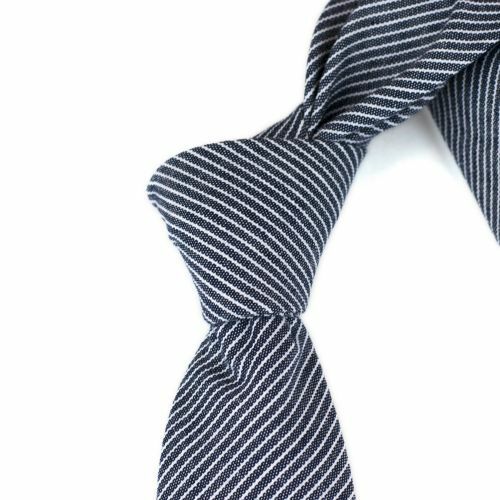 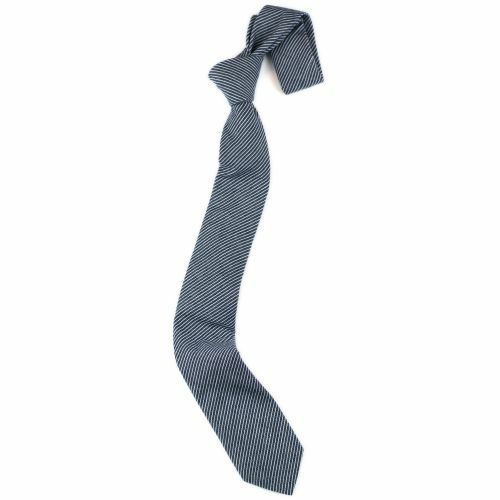 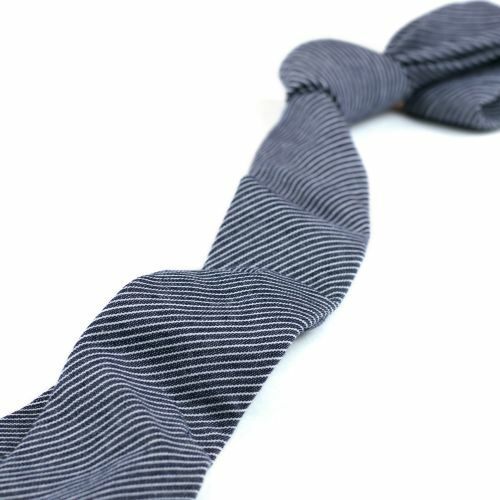 This tie comes in muted blue/grey denim with thin white stripes.